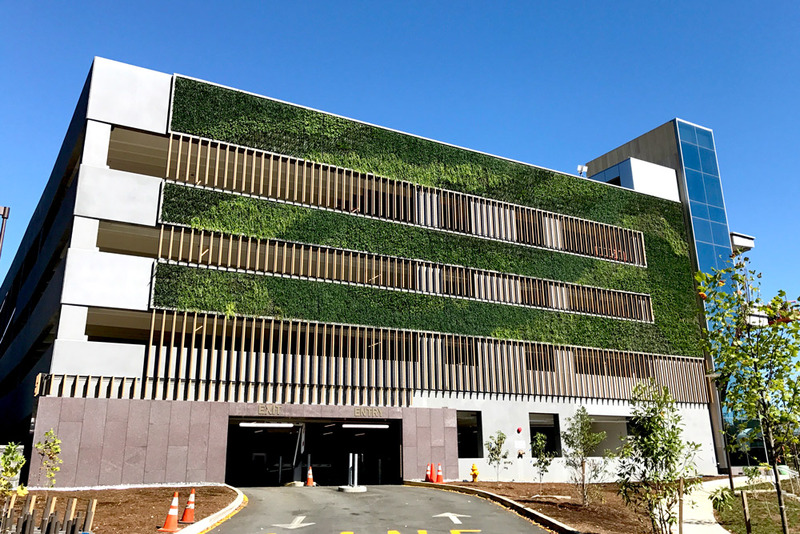 Want to see how a parking garage can be morphed from a functional concrete eyesore into a beautiful work of art and still be highly functional? Take a look at some of these examples. What a difference plants make! 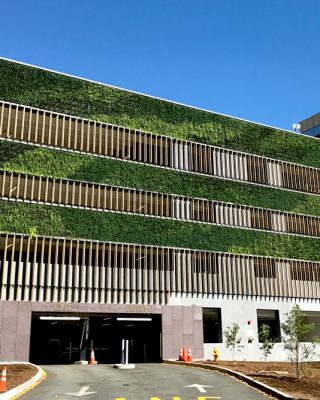 A green, living wall can transform a parking garage into a beautiful statement of your company’s commitment to the environment. Contact us to get started. 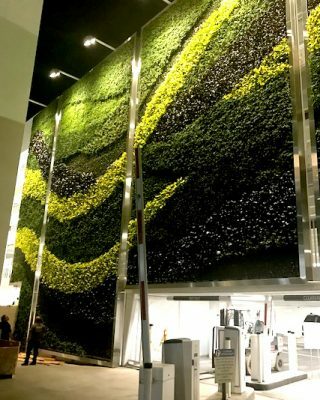 The first thing that comes to mind when you see a professionally installed and maintained green wall is”Why didn’t I think of that?” For those of you who don’t know what I am talking about a green wall is a vertical planting that is either build into a wall, hung like art work or is freestanding. 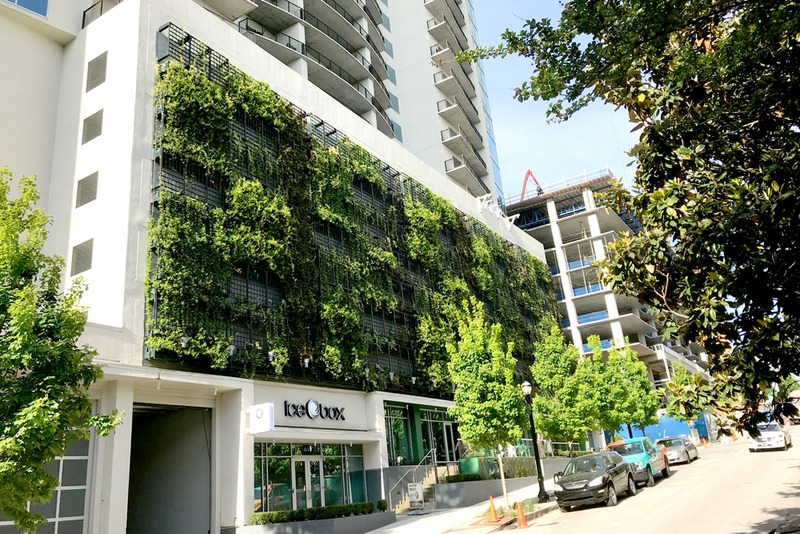 Green walls can range in size from a couple of square feet to several stories high. 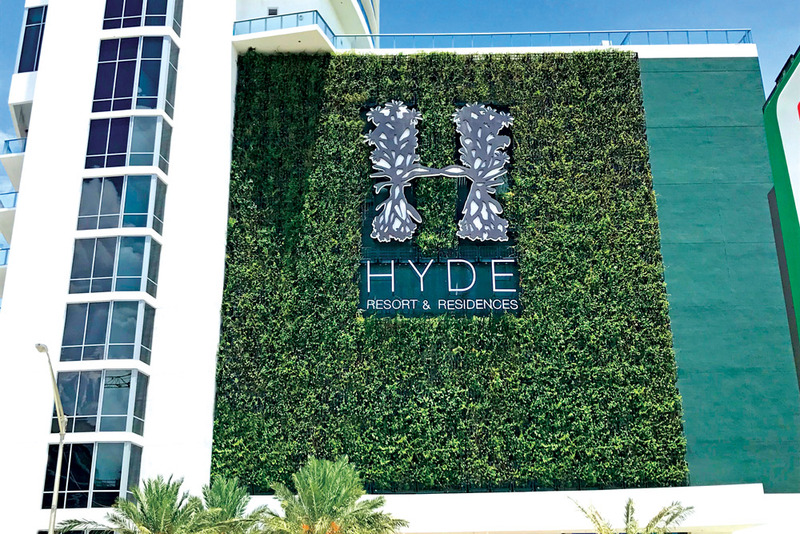 Think of it as living art, where shapes, colors, textures and patterns are painted with tropical plants. 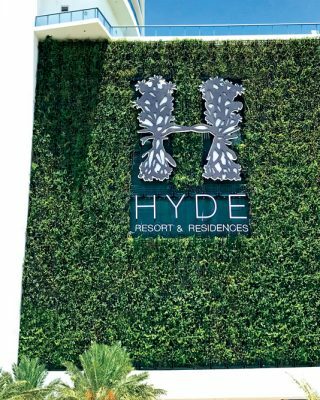 Corporate Logos can be spelled out, and even impressionistic art rivaling that which can be seen in an art gallery. 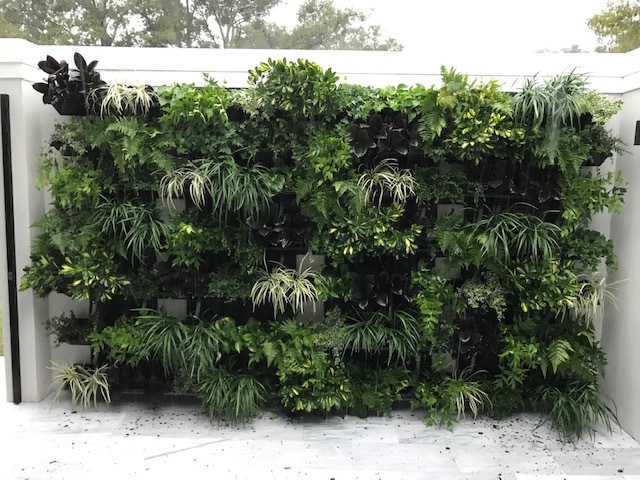 Here are some of the benefits of a green wall. Vertical application does not take up valuable floor space. Custom buildable to any size. Does not remain static, changes. 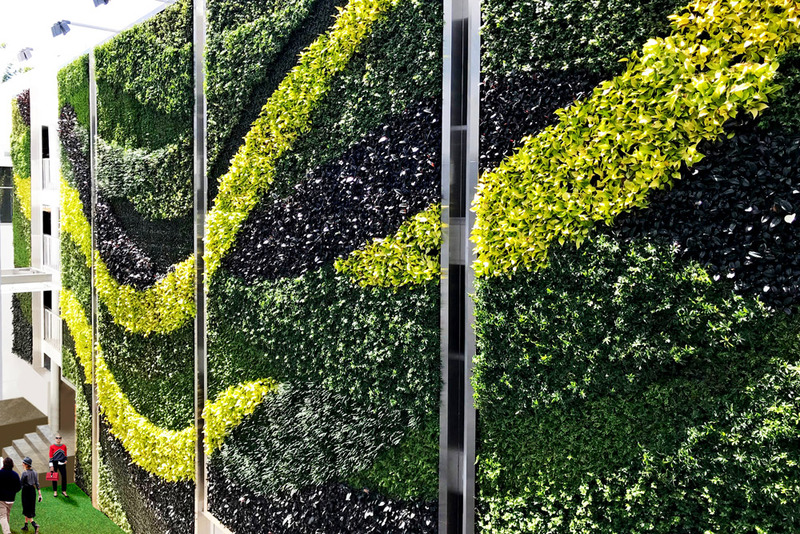 Design can be changed by shifting plants. 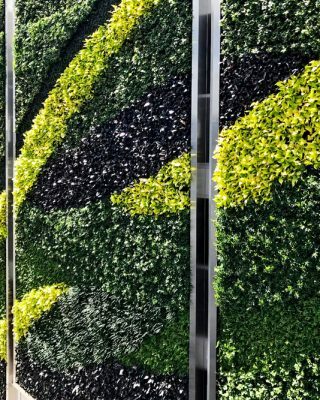 Can be had with automated irrigation, simplifying care. 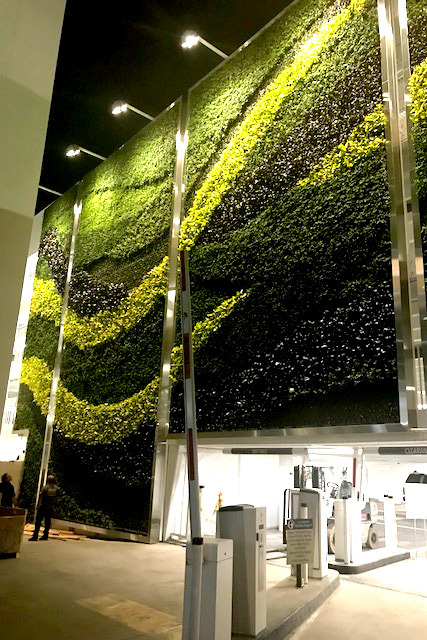 At FDS, we are experienced Green wall experts. 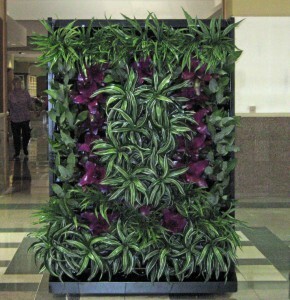 We have installed all sizes and styles from thousands of square feet to the size of a picture. 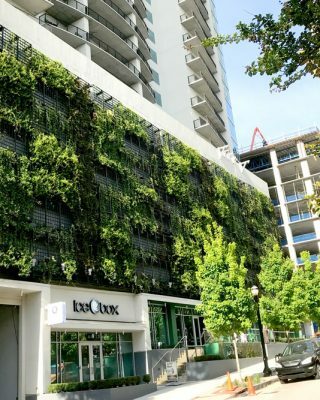 No addition to your office is as impactful as a professionally installed and maintained Green wall. To explore your options for your space, contact your FDS professional now.